Come aboard this ultimate experience through the Olympia region. 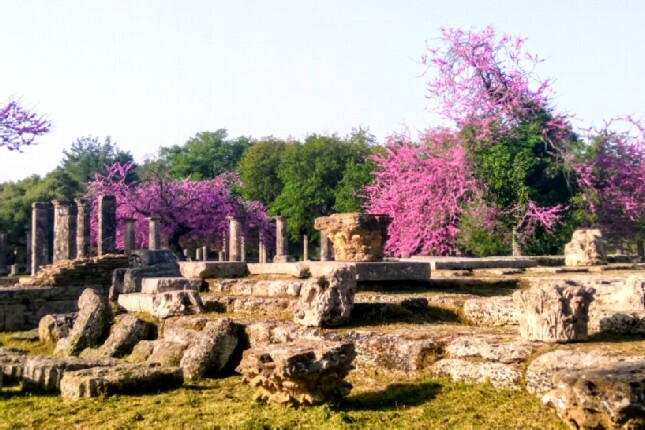 On this 5-hour tour, you will have the opportunity to explore not only the birthplace of the Olympic Games, Ancient Olympia, but also the fruits of its surroundings. 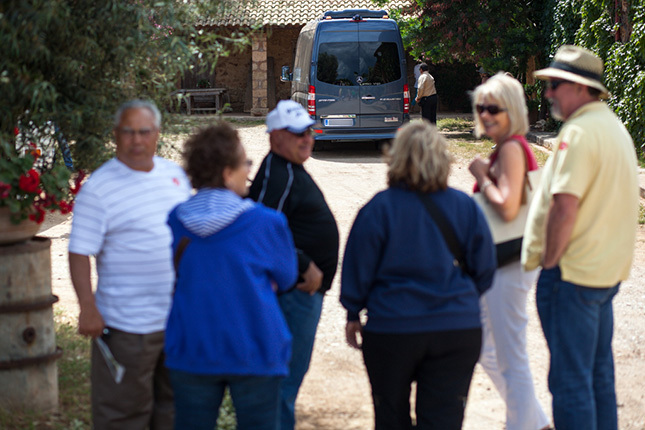 Experience the countryside as an insider and taste the best of the world-renowned products of the Greek land free of charge. Upon arrival, you will visit the local Association of Agriculture. 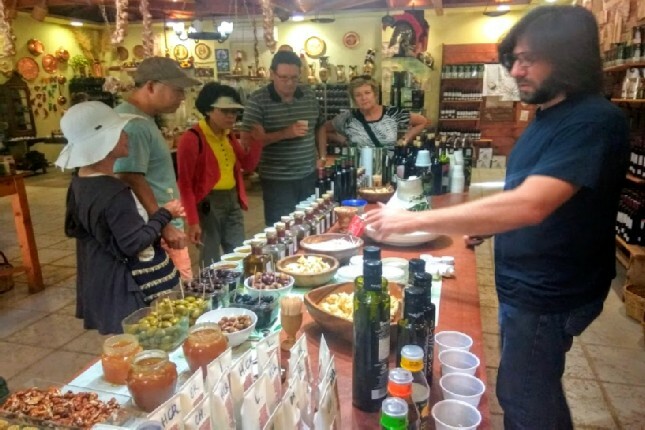 There you will have the opportunity to experience a free wine and olive oil tasting. 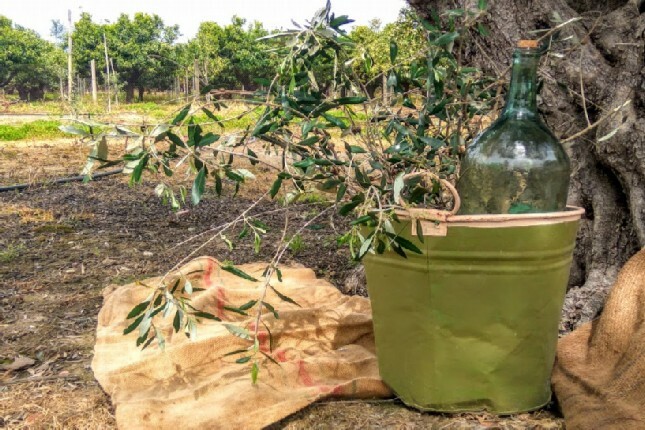 Enjoy the famous Greek olives and blends of olive oil, the essence of the Mediterranean Diet, to the superb local wines, cultivated in the region for over a millennium. 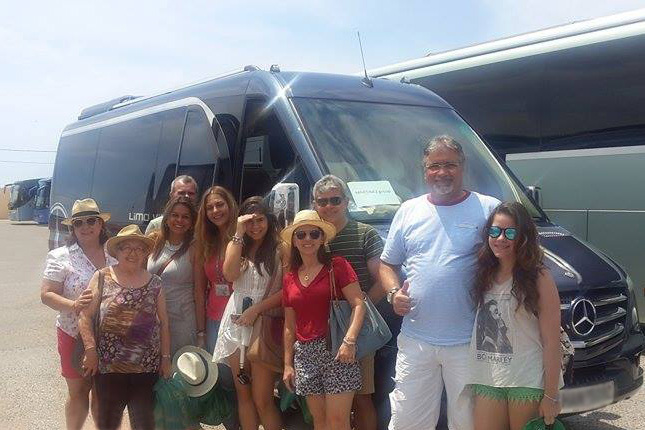 Discover the land where the Olympic torch is lit, the original Olympic stadium at the archeological site with one of our expert certified tourist guides. This beautiful archaeological park is sure to reward you! 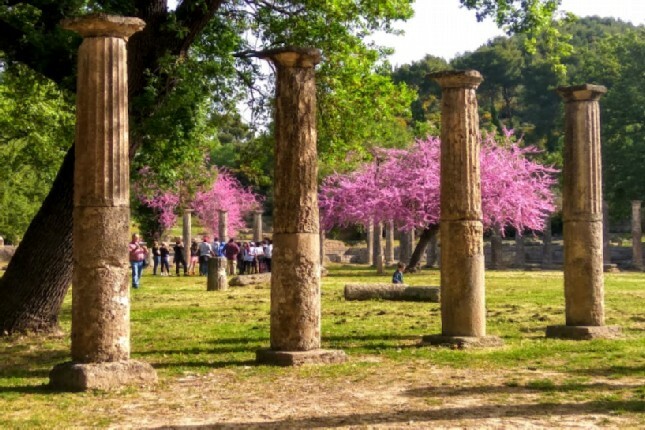 Then, only a 5-minute walk will bring you to the treasures of the archaeological museum of Ancient Olympia. Finally, relax by enjoying some free time in the modern village of Olympia at your leisure. Unwind at one of the cafés and tavernas or enjoy your shopping at one of the many souvenir and jewelry workshops; the best way to wrap up your Highlights of Olympia experience! 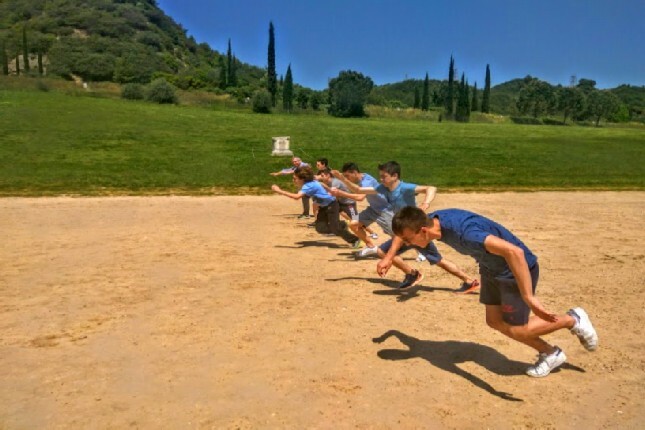 Admire the ancient training facilities, the famous gymnasium and the spot where the Olympic flame is lit. 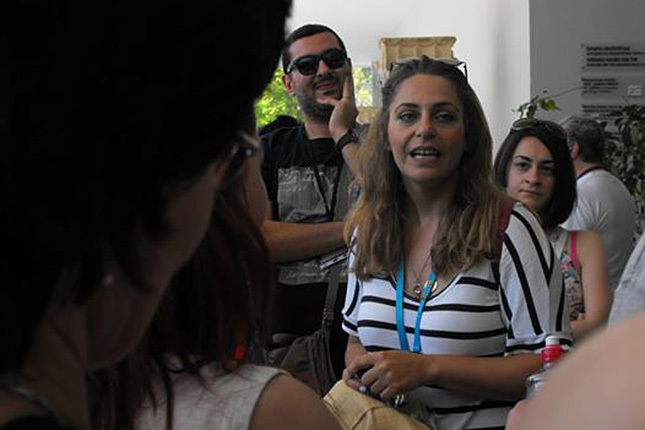 Share your thoughts about the wonders of the ancient world under the shady trees – one of them was here!!! 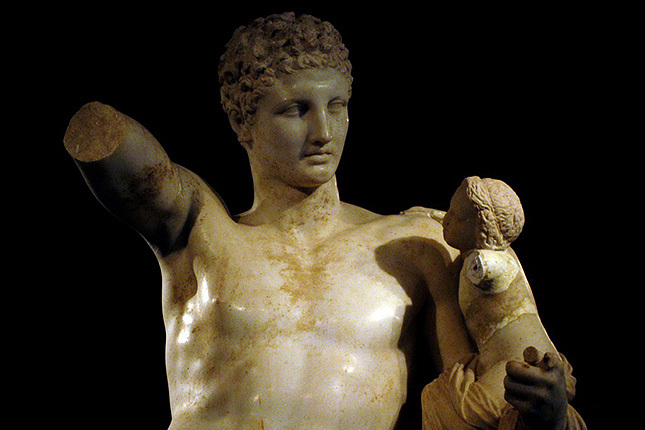 The golden and ivory statue of Zeus was once housed in his Temple. 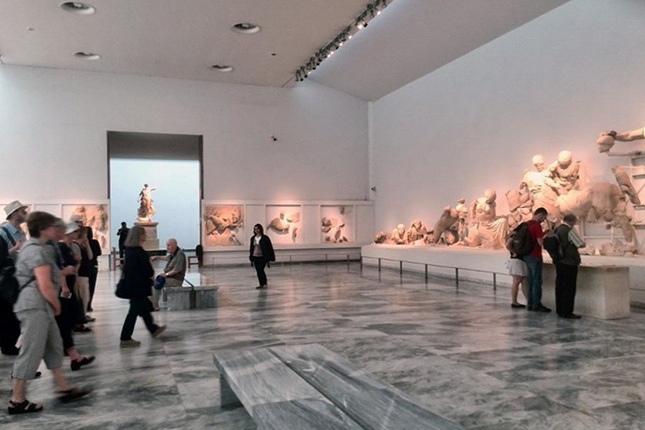 The Archaeological Museum is a real revelation. Situated at a 5-minute walk from the archeological site, it houses the antiquities from the site excavations. Everything is ORIGINAL. A ten-minute drive will then bring you to the local Association of Agriculture. 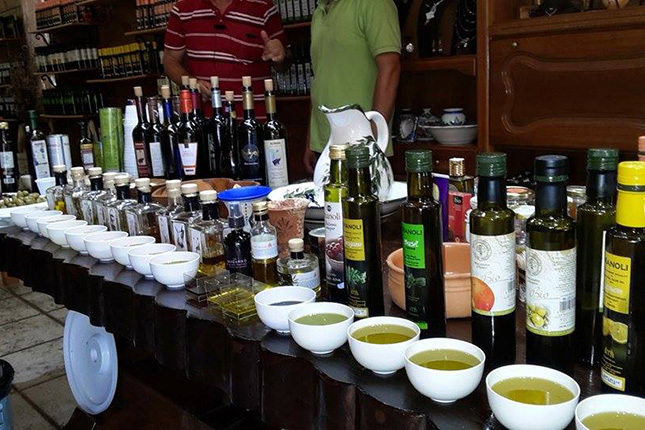 Tingle your taste buds as you try the different products from the famous Greek olive oil and olives to the local wine. 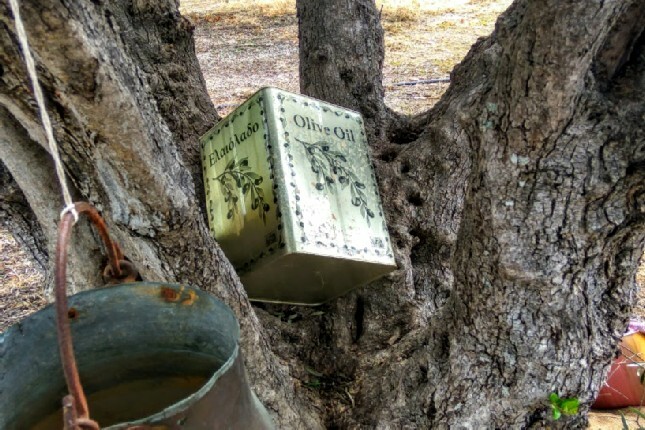 Discover why the ancient cultures believed that olive oil consumption is responsible for longevity, strength and youth and why Homer referred to it as “liquid gold”. 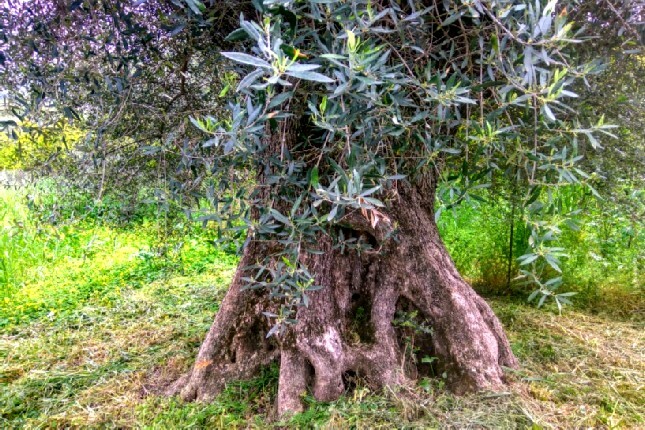 Taste the variety of olives including the popular and beloved Kalamata olives, the “king” of Greek table olives.